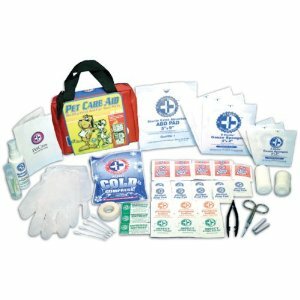 This emergency first aid kit is almost a necessity for humans with pets during a disaster. 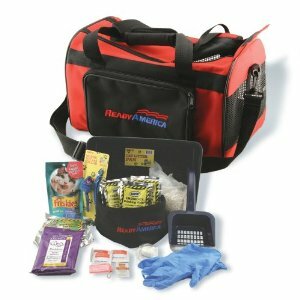 It includes tweezers, scissors, gauze, cold pack, hydrogen peroxide spray, iodine, cotton tips, gloves, prep pads, a First Aid guide, and more. 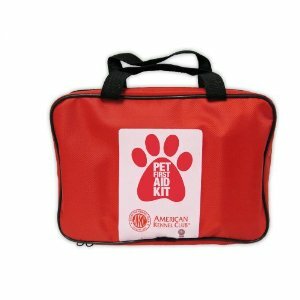 This kit is perfect for an emergency if you have a small dog. 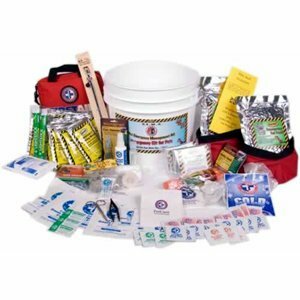 It contains enough supplies for three days. 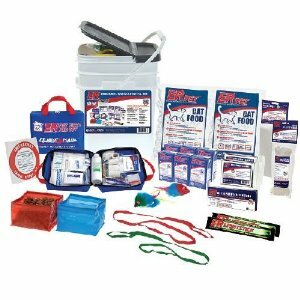 Has dog food and water pouches with 5 year shelf life, a rawhide bone, chew rope, waste bags, leash, wipes, ID tag, wipe, gauze, carrier, and more. 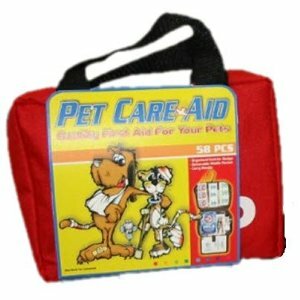 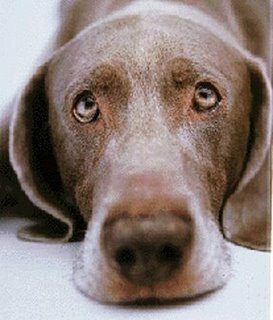 Don’t forget about your pets during a disaster. 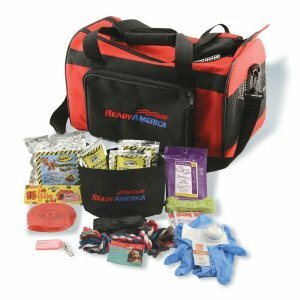 A survival kit contains everything they need. 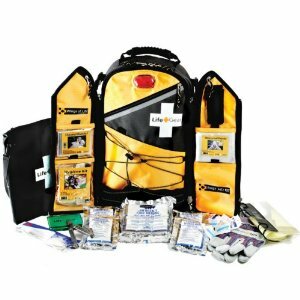 This one can feed up to 2 dogs and includes: emergency dog food, water, shelter, first aid, toys, leash, bowls, light, tie-rope, sanitation and more. 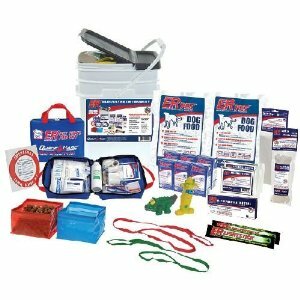 The food and water have 5 year shelf life.